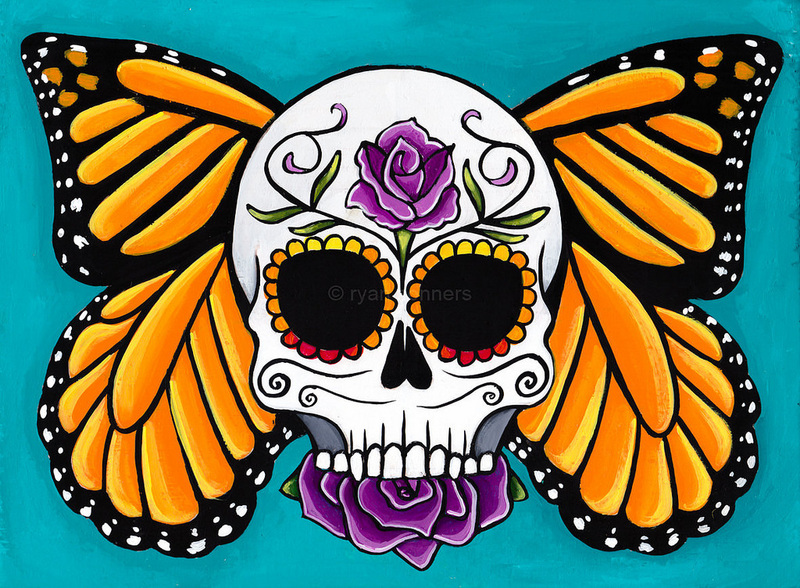 Fall is in full swing; leaves are falling and monarch butterflies have arrived in Mexico for the winter. In preparation for their return, National Wildlife Refuges and Fish Hatcheries throughout the Northeast are busy as bees preparing for pollinators this coming spring. Some of the great pollinator projects happening the fall include gardens and schoolyard habitats, outreach events, and planning summer camps, but these only begin to scratch the surface of the magnitude of the efforts to conserve these iconic species. Below is a map identifying field stations in the Northeast that received pollinator seeds and materials to begin projects or continue existing projects this fall. Like many refuges across the region, Iroquois NWR has been fervently engaged in enhancing pollinator awareness. 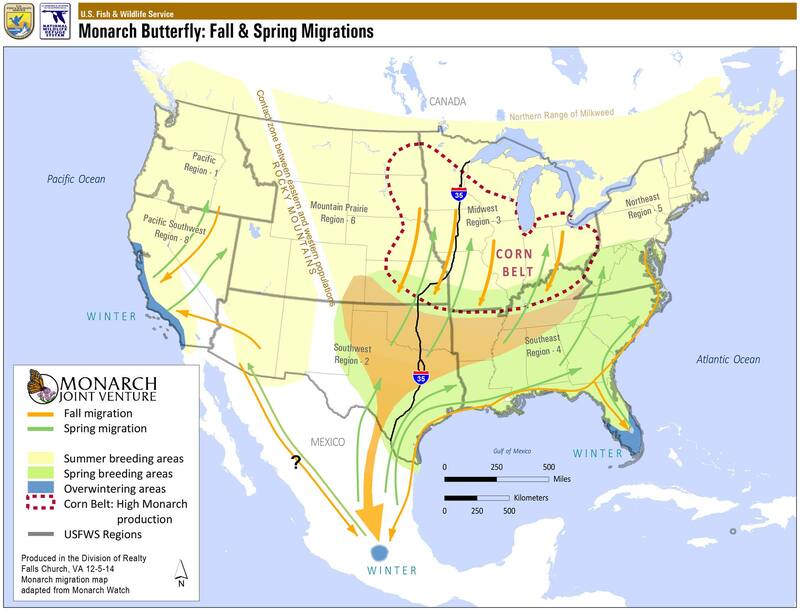 Not only do they perform extensive pollinator outreach, sharing with young people the miraculous journey that monarchs make each year and their fundamental role in plant reproduction, but they also host student research that focuses on the impact of habitat management actions on monarch populations. Iroquois NWR is happy to announce that late October should give rise to a new and improved garden for pollinators when visiting administrative staff from the Northeast will reclaim and enhance the space using seed donated from the Monarch Conservation Initiative. This will allow us to expand our efforts, using it as a teaching tool and garnering more support for these invertebrates that we hold dear! Milkweed seeds before the wind disperses them. A monarch butterfly on purple coneflower. In New Jersey, Cape May National Wildlife Refuge plans to plant a pollinator garden at the Two Mile Beach Unit in Wildwood Crest this fall so that the plants are ready to burst into growth in early spring. The garden will be strategically placed along the bike path and visible from the Dune Trail so hundreds of walkers and bikers alike can easily view the area. Interpretive signage will be utilized to convey the importance and purpose of pollinator gardens and grown plants will be labeled so interested individuals can know what beneficial plants to grow in their own backyard. The chosen area is surrounded by the marshland, grassland, maritime forest, and beach habitats on the Two Mile Beach Unit so the garden will lend itself to the already diverse array of habitats and pollinators will likely seek out the area. The Refuge looks forward to being a small haven for pollinators come spring and sharing that with visitors. At the New England Field Office, Endangered Species Biologist Susi von​ ​Oettingen​ and Partners for Fish and Wildlife biologist Ted Kendziora​ are teaming up with ​​the New England Hemophilia Association ​to bring pollinators to ​NEHA’s Family Summer ​Camp ​​​​and the Geneva Point Conference Center next year. With ​​monarchs and bees on the decline, seeds will be used to create a pollinator garden with native wildflowers to benefit all pollinators. Students will have the opportunity to get hands on with seed and planting activities to create new habitat while learning the important ties these species have to agriculture and native ecosystems. The pollinator garden will be a permanent feature of the Center for visitors from other camps, conferences, school groups and special events to see and learn about. Are you interested in helping create habitat at home or in your local community? 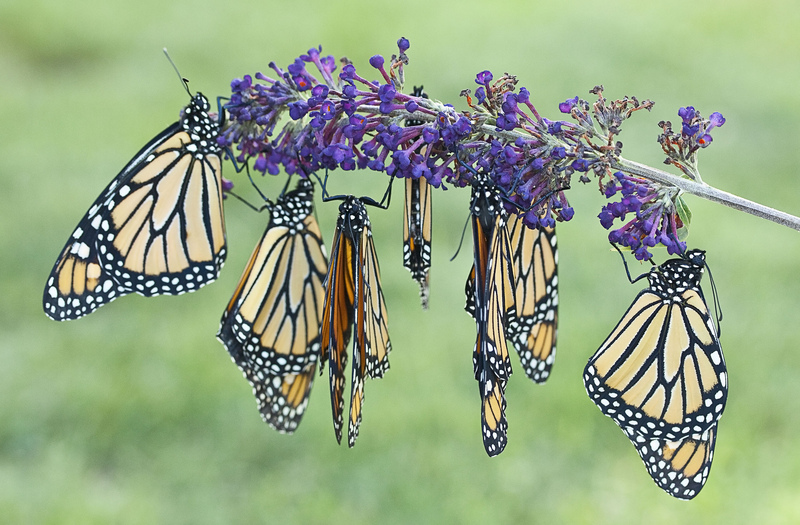 Learn more about how you can help protect monarchs and pollinators. This entry was posted in Blog entries, National wildlife refuges and tagged Cape May National Wildlife Refuge, iroquois national wildlife refuge, monarch, new england field office, Northeast, Outreach, pollinator garden, pollinators on November 1, 2017 by leahahawthorn. Today’s blog post comes from Jordon Tourville, an intern with USFWS at the Rhode Island National Wildlife Refuge Complex. He is interested in invasive plant management and policy as well as hiking around New England. As an Invasives Intern with USFWS in Rhode Island, I have the unfortunate privilege to find some of the worst invasive plants in the country. I’ve engaged in hand to hand combat with oriental bittersweet vines 50 feet tall and sailed through seas of Japanese knotweed. Given all of this, I believe that one of the most dastardly invasives out there is black swallowwort (Vincetoxicum nigrum). Known also by its street name, the dog strangling vine, this plant has the potential to harm a multitude of different species from all walks of life. Introduced to the United States as an ornamental from Eastern Europe around 1854, black swallowwort can now be found throughout the northeast. Its large shiny dark-green leaves and its sinister looking dark purple to black flowers make it very easy to spot. It’s true that at first glance this vine might not seem too bad, but just beneath its beautiful exterior lays a deadly siren call to all of our beloved monarch butterflies. While the roots of black swallowwort are toxic to mammals, the leaves are equally unpalatable for some insects, which include the monarch butterfly. Given the physical similarities and habitat overlap between black swallowwort and the common native monarch host plant, milkweed, adult monarchs will occasionally lay their eggs on the invasive vine. The result is mass mortality of monarch larvae, and yet another blow to our efforts in restoring their population numbers. Instead of throwing in the towel and continuing to allow black swallowwort to plague our lands, livestock and butterflies, an enterprising team out of the University of Rhode Island is experimenting with different insects and other biocontrol agents. Their goal is to find the right candidate that will stem the tide of the swallowwort invasion. Given more time and the right resources, we may soon have a new weapon with which to strike back against this reckless invader. USFWS staff and volunteers manually pulling black swallowwort regrowth. Biocontrol aganets are also needed for effective control of this plant. Hypena opulenta is one moth which shows great promise as a biocontrol agent. Black swallowwort, the dog strangling vine, my worst nightmare; any one of these names could be applied to this robust invasive plant species, but regardless of its label, black swallowwort continues to be a toxic plant that causes untold harm to us and to threatened species that we are trying to protect. This entry was posted in Blog entries, Invasive species and tagged black swallowwort, intern, invasive, monarch, Rhode Island, swallowwort, youth on July 5, 2016 by U.S. Fish and Wildlife Service.